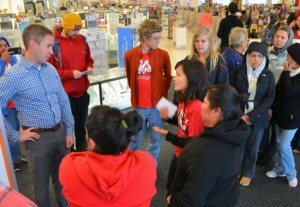 In addition to closing and revoking the licenses of nail salons that do not comply, the task force will offer information sessions in six languages to educate the workers, predominantly immigrant women who speak Chinese, Korean or Spanish, to learn about their rights and how to anonymously report violations and unsafe conditions. The report revealed that many manicurists have a variety of respiratory and skin ailments due to working with highly toxic chemicals that speed up drying time and prevent polish from chipping. Three of these substances are known to cause cancers such as Hodgkin’s disease, multiple myeloma and leukemia, and a variety of reproductive health hazards like miscarriage, abnormal fetal development and low-birth-weight babies. Manicurists will now be required to wear gloves to reduce the risk of contracting skin conditions like fungal infections, warts and burns from handling chemicals. Ventilation will be required to reduce chemical fumes, and the state’s Health Department will conduct a study before setting up comprehensive safety standards. Rosalia Morales, wearing a black sweatshirt, confronts a manager in Kohl’s Roseville store about working conditions at the company’s cleaning subcontractor Kimco.